Texas lawyer Michael Pullara’s decade-long quest to free an innocent man in the former Soviet Republic of Georgia provided him with a new appreciation for the U.S. justice system, which, imperfect though it may be, is the best in the world. 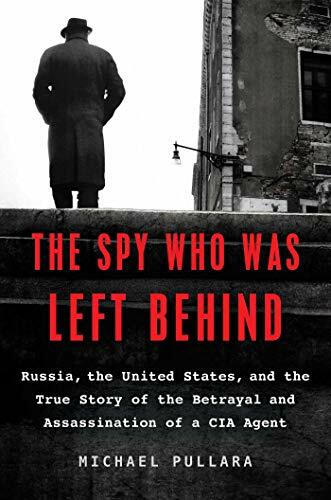 In The Spy Who Was Left Behind: Russia, the United States, and the True Story of the Betrayal and Assassination of a CIA Agent, Pullara takes the reader along on his quest as he negotiates an obstacle course of lies, deception, corruption, political interference, and personal danger. In 1993, a CIA officer named Freddie Woodruff was killed in Georgia, supposedly during an attempted carjacking by a drunken young soldier named Anzor Sharmaidze, who was arrested, summarily tried and convicted, and sentenced to prison. Case closed. Closed, that is, until Pullara got involved. Having just completed an investigation into the death of his father in the Vietnam War, which revealed deception on the part of the U.S. air force, Pullara was ready for a new mission. Intrigued by an article about the Woodruff killing in The New York Times, Pullara, who had been a childhood friend of the victim’s sister, dug deeper and found cracks in the Georgian authorities’ case that suggested Anzor had been railroaded. Pullara also discovered an unlikely coincidence: Anzor’s conviction was handed down less than two weeks after the FBI arrested another CIA officer, Aldrich Ames, for espionage on behalf of Russia. “The carefully constructed official version seemed to be coming apart and what was left in its place was a tantalizing mystery,” Pullara says. Noting that newspaper pundits referred to “super-empowered angry men” as agents of change, he notes, “I was no super-empowered angry man. But I was a moderately-empowered curious man.” What could he do, though, “with a law license, a passport, and a credit card?” The Spy Who Was Left Behind tells a fascinating story of one man’s quest for the truth, even if that meant putting his own life at risk for someone he had never met. Pullara’s initial hurdle was to find a client, to give himself legitimacy. That client was his old friend, the sister of the murdered man, who agreed to allow him to represent her in getting to the truth behind her brother’s murder. But in order to exculpate Anzor, Pullara needed to find out who the real killer was, which created a new set of problems. It quickly became clear that this might not have been a carjacking gone wrong but was more likely a government-sanctioned assassination. But what government? Intrigue heightens, and the stakes rise when the author discovers a possible connection between the spy Aldrich Ames and Russian involvement in Woodruff’s death. “The Shevardnadze regime might not survive if it accused powerful Russian forces of murdering the American spy,” Pullara writes. “On the other hand, Georgia might not survive if it rebuffed a US demand for justice.” Pullara realized that discovering the real killer might set off a war, and that could center Pullara squarely in the crosshairs. Against great odds and motivated by nothing more than a sense of justice, Michael Pullara sets a standard for idealistic attorneys to strive for. Whether he succeeded or failed is not the heart of the matter; it’s the fact that he tried. The Spy Who Was Left Behind tells that story. Mike Farris is an author of both fiction and nonfiction. His most recent nonfiction books include Poor Innocent Lad: The Tragic Death of Gill Jamieson and the Execution of Myles Fukunaga and the award-winning Fifty Shades of Black and White: Anatomy of the Lawsuit behind a Publishing Phenomenon. A retired attorney whose practice included commercial litigation and entertainment law, he is an adjunct professor of Constitutional Law at the University of Texas at Arlington.